Relax and revitalize with Dove. Healing and Healing Dragon Qigong practices. Cost per class is $25. 3 Classes for $65. “Aqua chi is amazingly relaxing, yet energizing. Qigong forms that are difficult to do on land are effortless in the water. 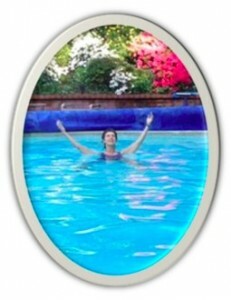 We exercise, we meditate, and we swim, in a warm pool surrounded by peaceful hillside. Splish, splash, I love it!” C. Chapman, San Rafael.